Wasing Park is a spectacular barn wedding venue set in picturesque Berkshire countryside. This elegant estate offers a collection of historical buildings including a Victorian Summerhouse and the Castle Barn. 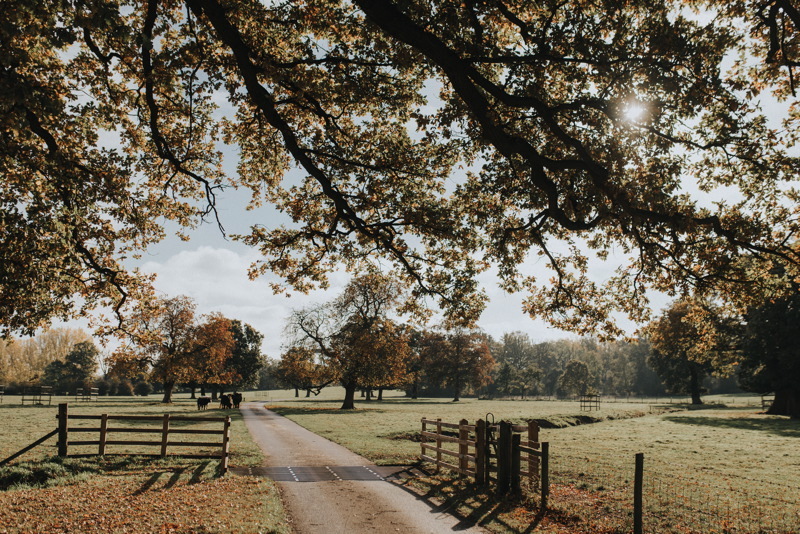 Wasing Park is at the centre of the 4,000 acre Wasing Estate, which was established in 1759 and has been under the stewardship of the same family since then. A modern complex of beautiful barns set within stunning parkland, this venue exudes pure style. Ceremonies can take place both inside and out. The contemporary Garden Room provides an abundance of natural daylight and space with its white walls and wooden floors – creating the perfect ambience for couples to tie the knot. 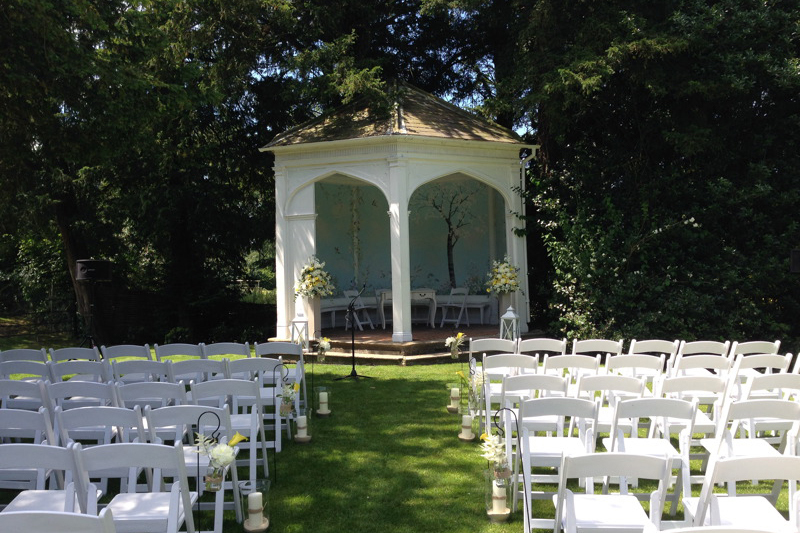 Alternatively, the Victorian Summerhouse located in the Terrace Garden is also licensed for civil ceremonies. 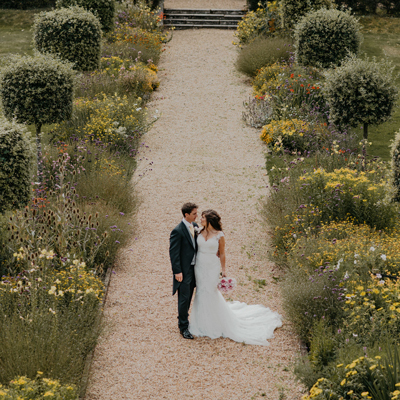 Surrounded by lush green lawns and with breathtaking views of the grounds, the interior of the summerhouse is painted with murals and provides a wonderfully romantic setting for that ‘I do’ moment. At Wasing Park, wedding breakfasts and evening celebrations take place in the Castle Barn with its grand arches and crenelated stone walls. 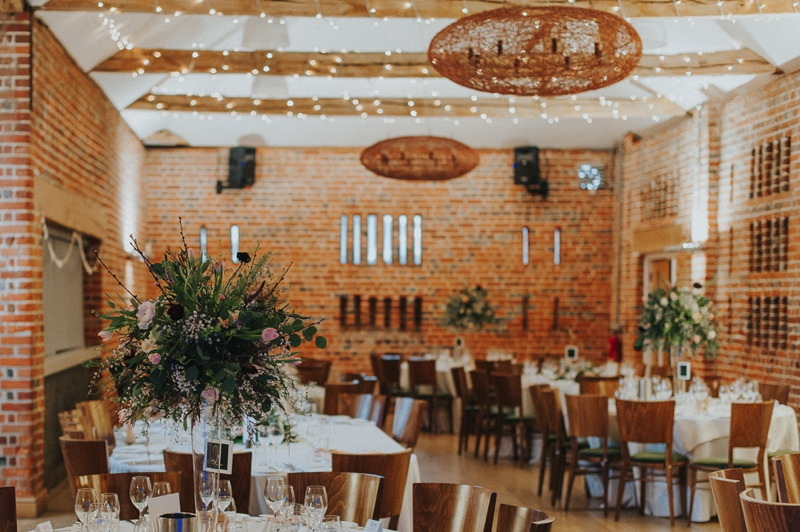 Traditional features such as exposed brick walls with arrow slits allowing for candles and huge oak beams, blend with modern Italian mood lighting and a blank canvas allowing couples to add their own style. This is a truly exceptional barn in which to celebrate your most special day. After dark, the raised stage is just the place for a band or DJ while guests enjoy an evening feast – perhaps a hog roast, food stalls or a fire pit on the terrace. Alongside the venue is Wasing Estate’s boutique guest accommodation. Nine luxury suites form the Old Estate Rooms offering sumptuous bedrooms for your closest friends and family. One of these is the Honeymoon Suite with possibly the biggest bed in Berkshire, a luxurious bathroom and views over the private garden. 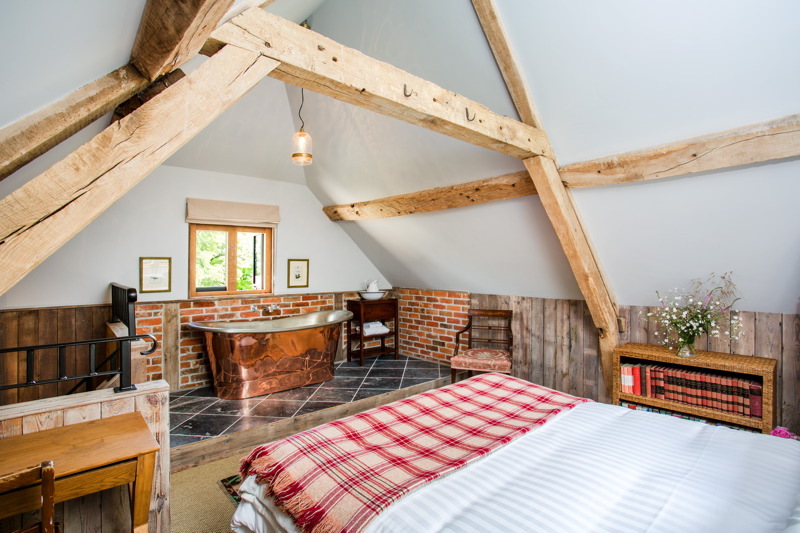 Eight further suites include The Dovecote with its triangular shaped bed, and The Granary – a fairy tale suite featuring a king side bed and free-standing copper bath. Additional accommodation in the form of 26 elegant en-suite guest bedrooms can be found in The Stables Lodge, The Pump House and The Mews. Offering stylish décor amidst a beautiful setting, they make the perfect retreat for your guests. All resident wedding guests can also enjoy use of The long Stable to relax and take refreshments throughout the duration of their stay. 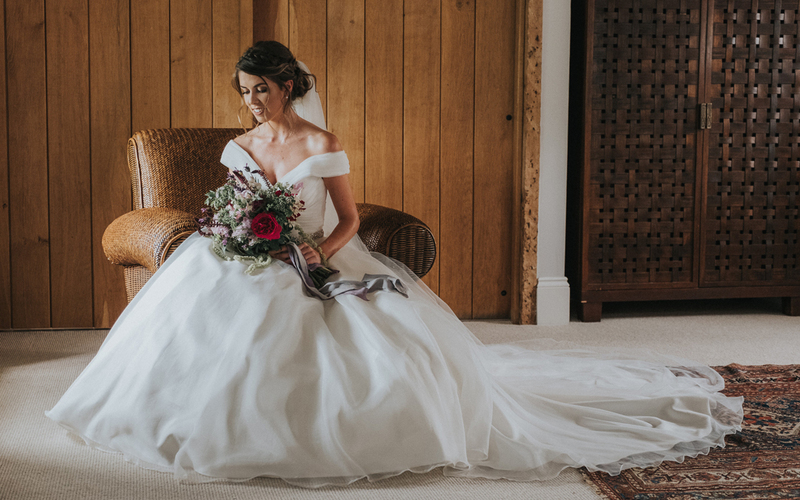 There are two self-catering properties on the estate (subject to availability); The Bothy, a two bedroom cottage, and Home Farmhouse, a six bedroom property, ideal for those wanting to stay at the venue the night before their big day. A beautiful barn wedding venue like no other, Wasing Park is secluded and sophisticated, fusing country traditions with contemporary style. Take a look through the gallery, the Victorian Summerhouse definitely deserves to be seen! Wasing Park is currently giving you the chance to have your dream wedding at this enchanting venue and make a great saving too! * The discount on the food and drink will be applied to your final balance payment. Offer not available to previously confirm bookings or transfers of date. Book Saturday 17th August 2019 or 31st August 2019 and you could hold a spectacular summer wedding at this breathtaking venue sooner than you thought. Opportunities like this are rare and this date is likely to be snapped up quickly, so make it yours today by calling 0118 907 0199.